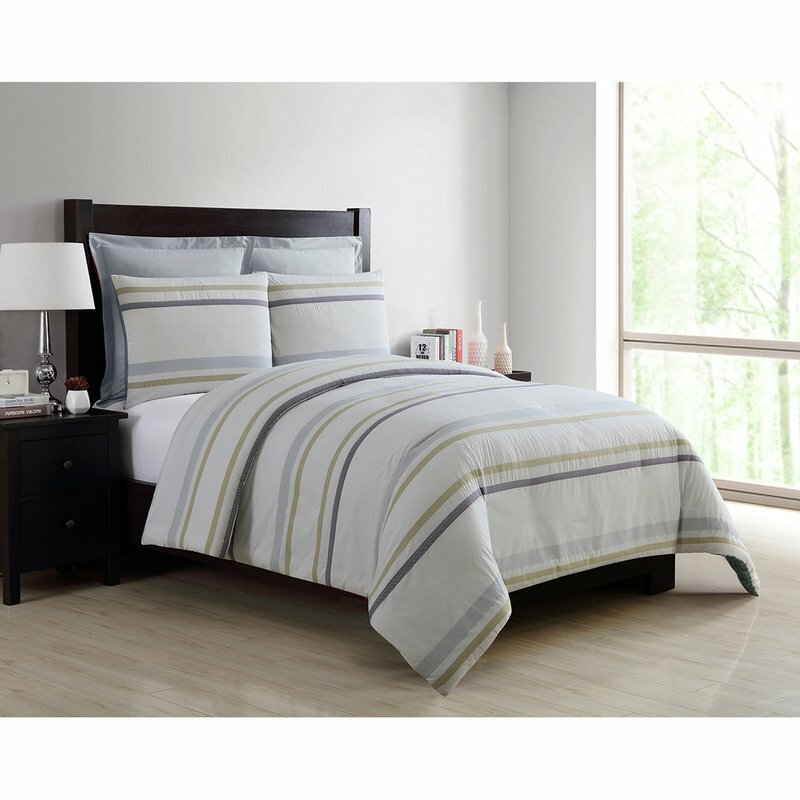 Create a casual atmosphere in your bedroom with this lovely 5 Piece Platinum Oliver 100% Cotton Comforter Set. This comforter features a white background with clean stripes of either blue or wine colors. The set includes 1 Comforter, 2 Standard Shams and 2 Euro Shams. King: 106" x 92" x 3"
Full/Queen: 92" x 92" x 3"